Dyslexia is one of the most common learning disorders, with every one in 10 people experiencing it. While it can be easily worked through, it often gets treated as simply laziness or as a sign of a low IQ. Jaslok Hospital, located in India, is looking to change perceptions of this disorder by creating a special captcha that mimics what dyslexics see so the rest of us can be a tad more empathetic. As most might know, captchas are the security measure implemented by sites to weed out bots—basically it’s when a word appears slightly distorted and the site asks you to type it in before submitting a form. 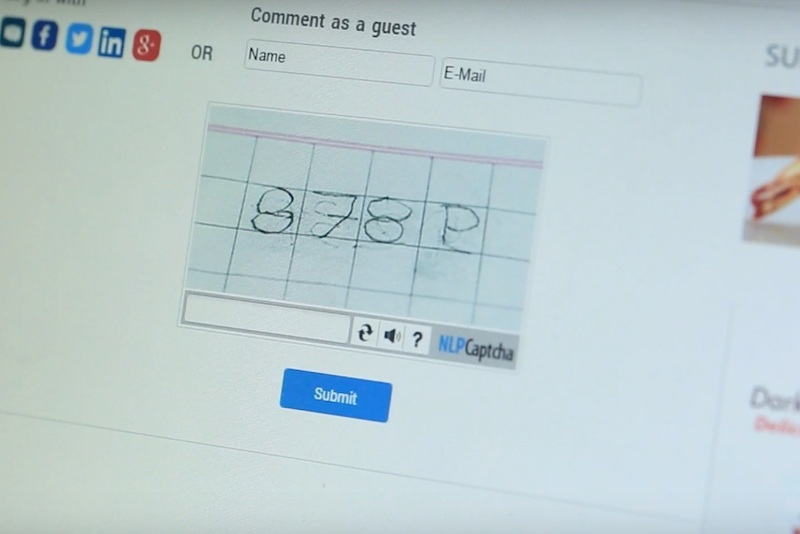 These special ‘dyslexic’ captchas were placed on website frequented by parents and teachers and were built using real letter samples from dyslexic students. Many who tried to enter the phrase did so incorrectly, and were then presented with a message encouraging them to learn more about dyslexia, with over a million people reached.